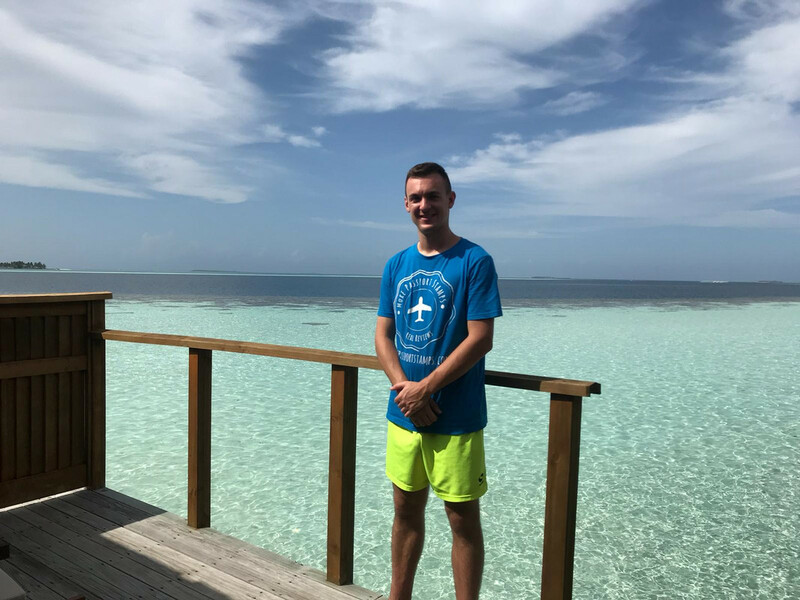 This is my review of the luxurious Vilamendhoo island and resort in the Maldives, where I was fortunate enough to stay in and review one of their over water jacuzzi villas. In what would turn out to be one of my favourite reviews, Vilamendhoo Resort and Spa gets my honest feedback. 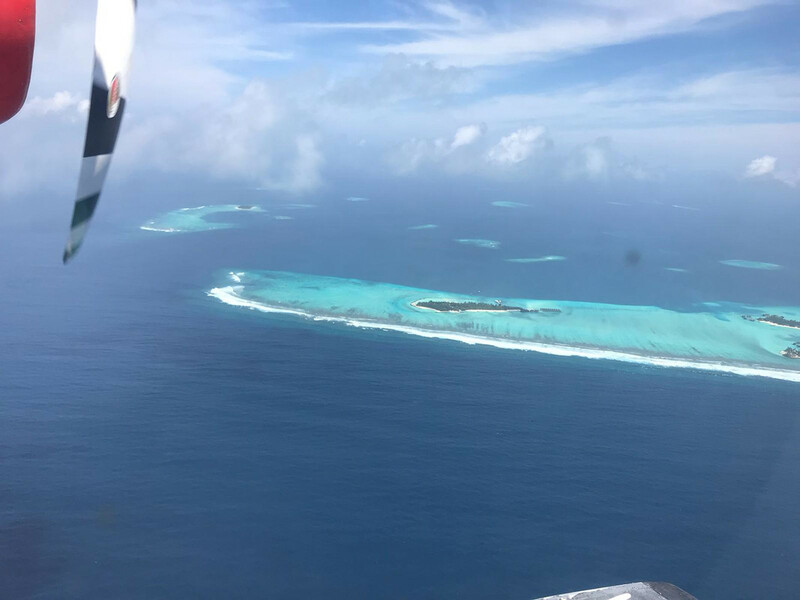 The transportation to Vilamendhoo is via a scenic 25 minute seaplane journey from the capital, Male. They have a lounge (shared with other Crown and Champa resorts) at Male airport so that you can begin to unwind as soon as you hit Maldivian shores. The Jacuzzi Water Villas, nestled in the Adults Only area at Vilamendhoo, are fully equipped with all the luxuries you may desire, including breathtaking views. A large, comfortable double bed leads on to a dressing table, which is opposite a coffee table and sofa, all with plenty of space leading to the 4th wall of the main room, comprising of floor to ceiling glass windows and doors leading out over the Indian Ocean. 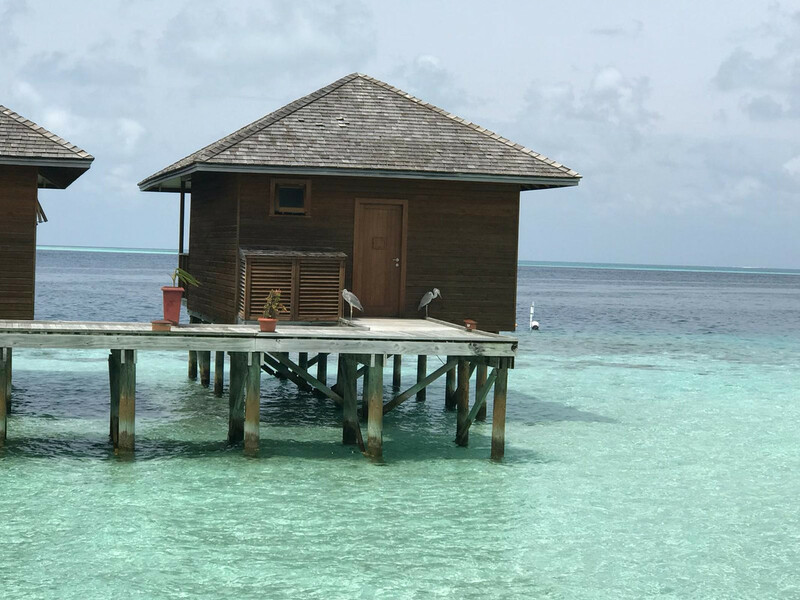 Stepping out of the doors leads you to your very own wooden balcony complete with outdoor furniture, sun loungers and steps down to the warm and inviting lagoon below. The other end of the villa accommodates the included complimentary mini bar, ample wardrobe space, security safe and the over-sized, open ended bathroom, with shower and two sinks. 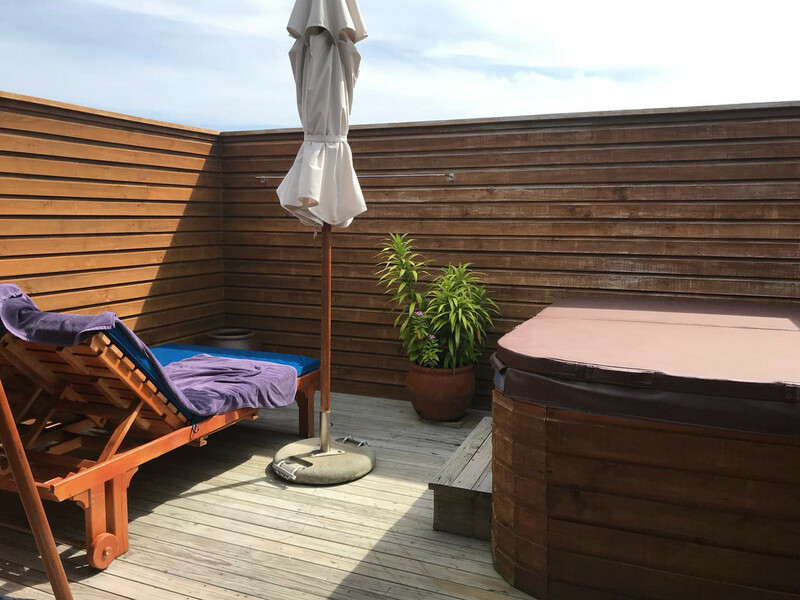 This bathroom leads to the second balcony, which is very private and features two further sun loungers and a jacuzzi hot tub all of your own. I recommend using this at night and star gazing as the clear night sky is beautiful here. 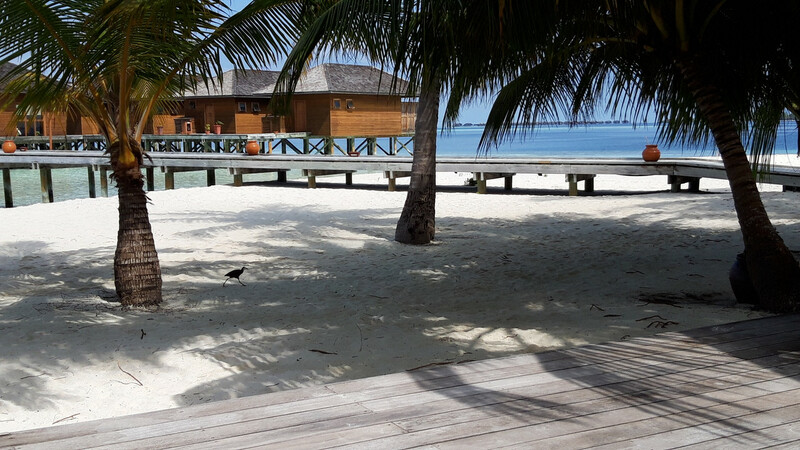 The Duniye Spa at Vilamendhoo is also on stilts, perched above the water to aid relaxation. The massage beds even have glass floors underneath so that you can watch the marine life below as you are being treated. The main reception area is where you are offered a herbal tea and are given the choice of 4 different oil infusions based on various characteristics. Once this is chosen you are led to your treatment room and given time to ready yourself for massage. The staff are quite attentive and customer satisafaction is their main priority. 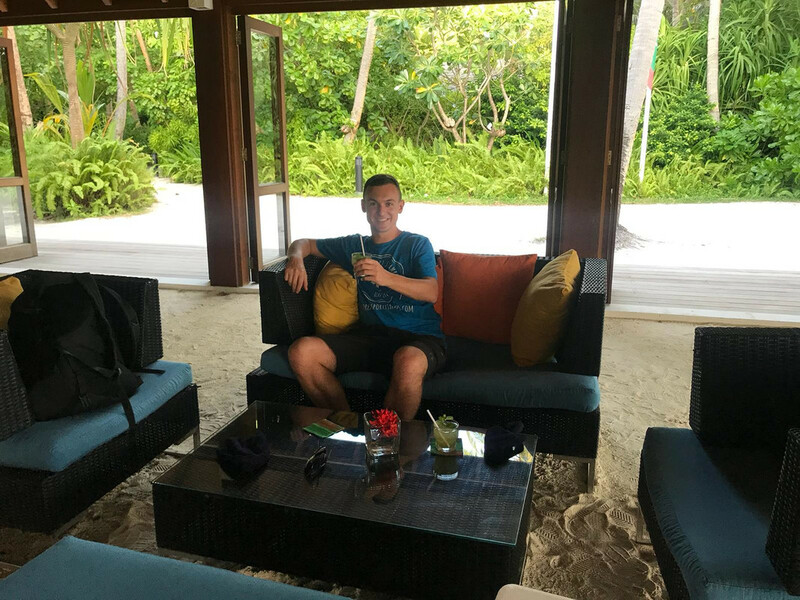 Once the treatment is complete you are led to a room with a fantastic view over the ocean and allowed some time to relax on a lounger before leaving. 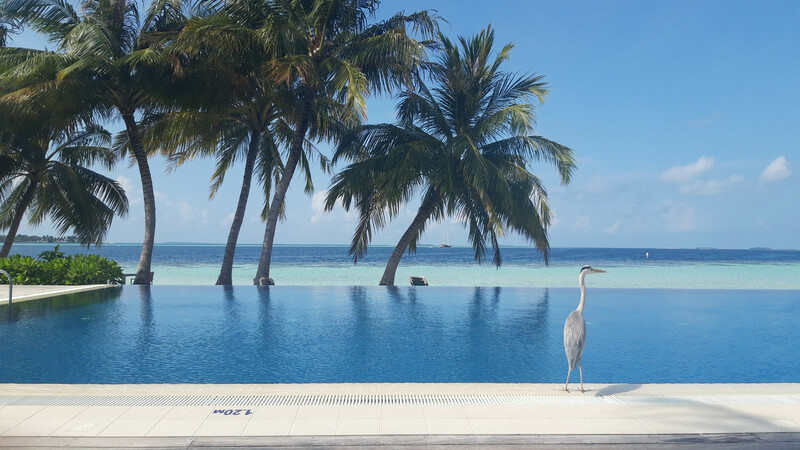 There are two pools at Vilamendhoo. One is for water villa guests only (Sunset Bar Pool) and the other is for any guest (Boashi Bar Pool). The latter includes a childrens wading pool. The Sunset Bar Pool is an infinity pool complete with stunning views. There is a small shop, library and cyber cafe near the main reception area, a separate childrens playground and even a specific wedding pavilion. 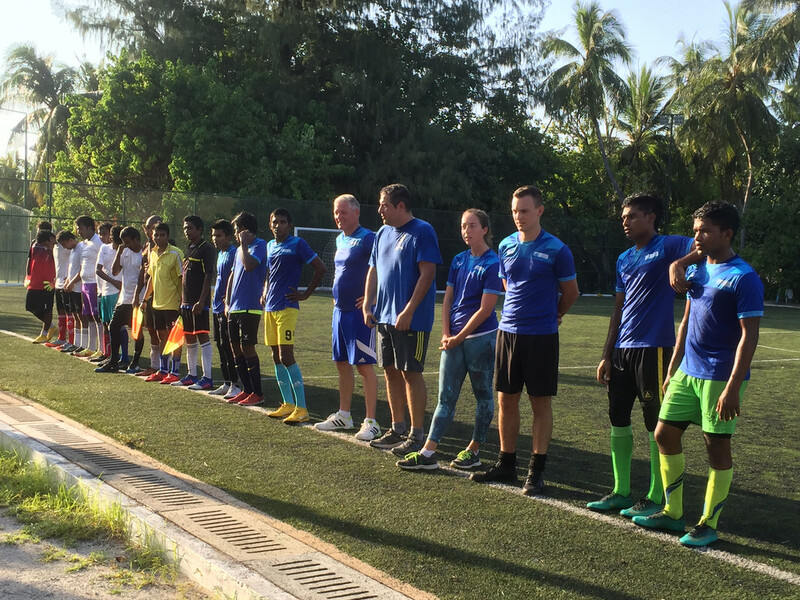 However, it’s sports where Vilamendhoo really shines in its reviews. 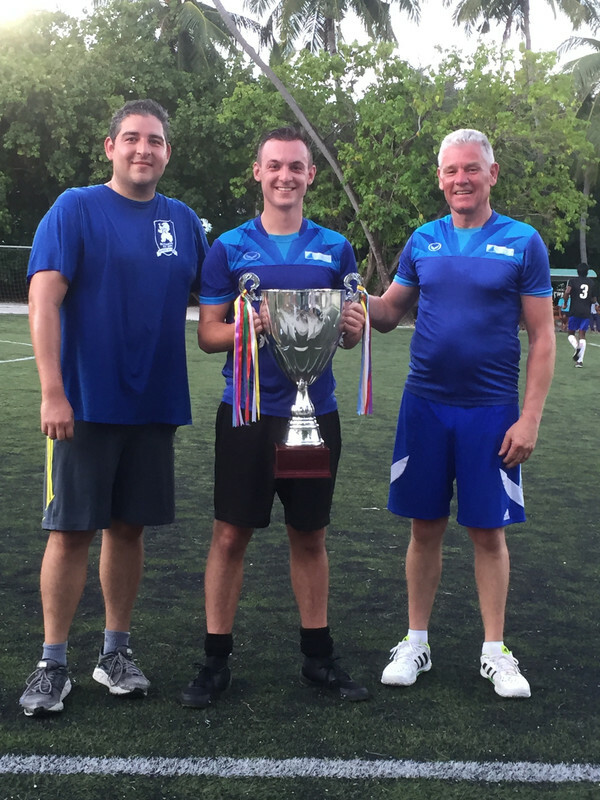 The sports and recreation area includes a full sized football pitch, badminton court, table tennis table, tennis court, beach volleyball court and putting green. They even do a guests vs. staff football match each Sunday. We managed to win 11-3 and it was great fun. 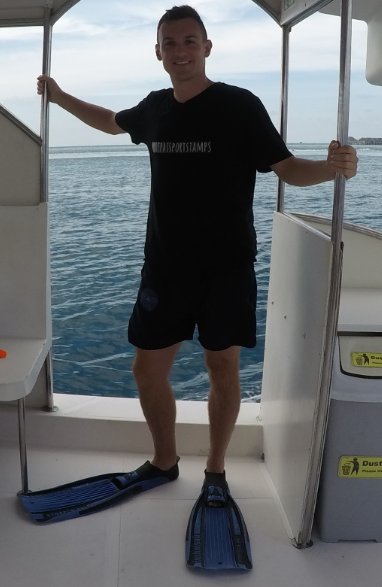 There is also a water sports center offering banana boat rides and jet skis, and a dive center offering everything SCUBA and snorkelling related. 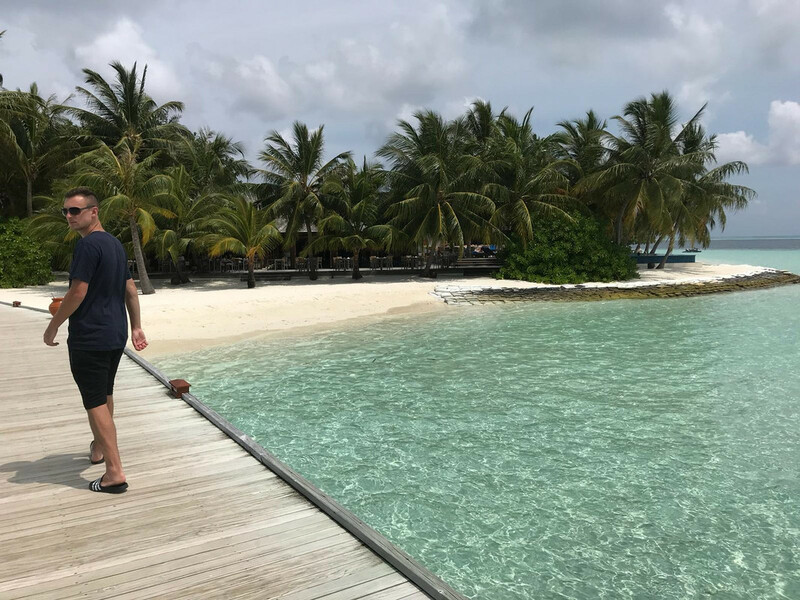 The staff tended to have a very traditional Maldivian approach of warmth and friendliness at Vilamendhoo, making this one of my favourite reviews. This is immediately apparent, as a local drummer welcomes you with traditional Maldivian music as soon as you reach the island. The chefs and waiters during meal time were particularly impressive as they note all allergies and dietary requirements and talked me through everything I could eat each meal time. Excellent service. 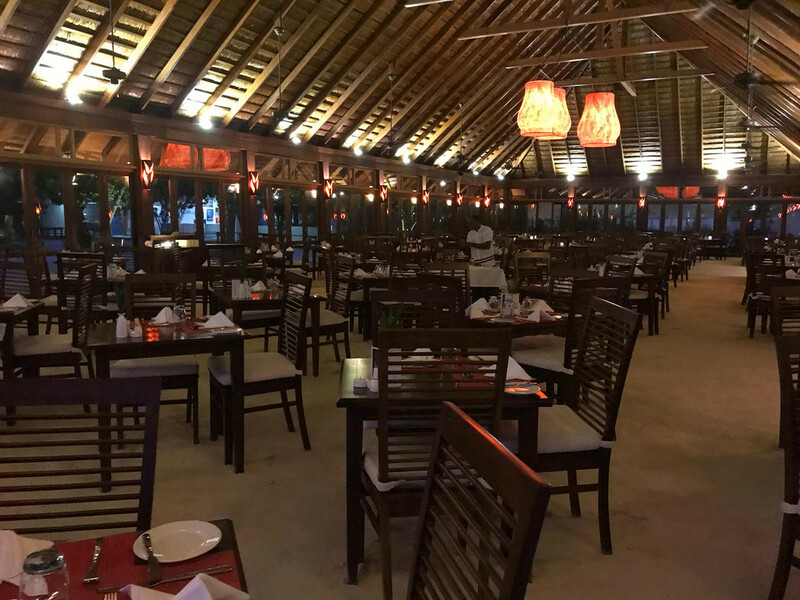 The majority of the entertainment at Vilamendhoo Resort & Spa happens in the Bonthi Bar, which all guests can access and is located in the middle of the island. 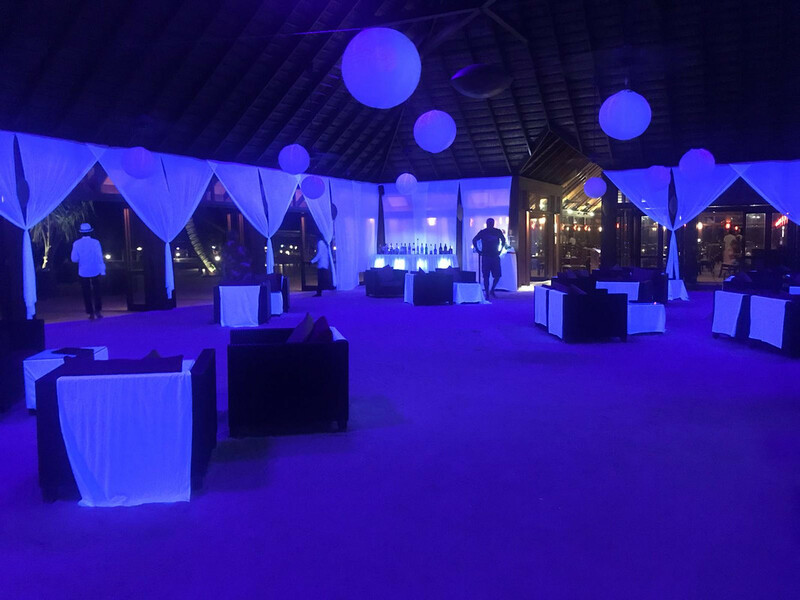 Most evenings there is some form of entertainment, including a “white night” where everybody dresses in white clothing and the furniture is adorned in white, and even a traditional night where local Maldivians show their traditional way of life and offer gifts for all. 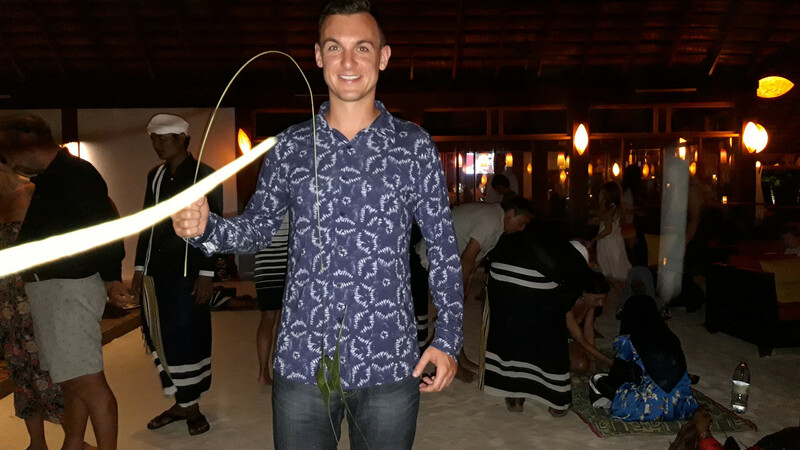 In the picture below you can see the gift I was given, a fish on a line made from leaves. 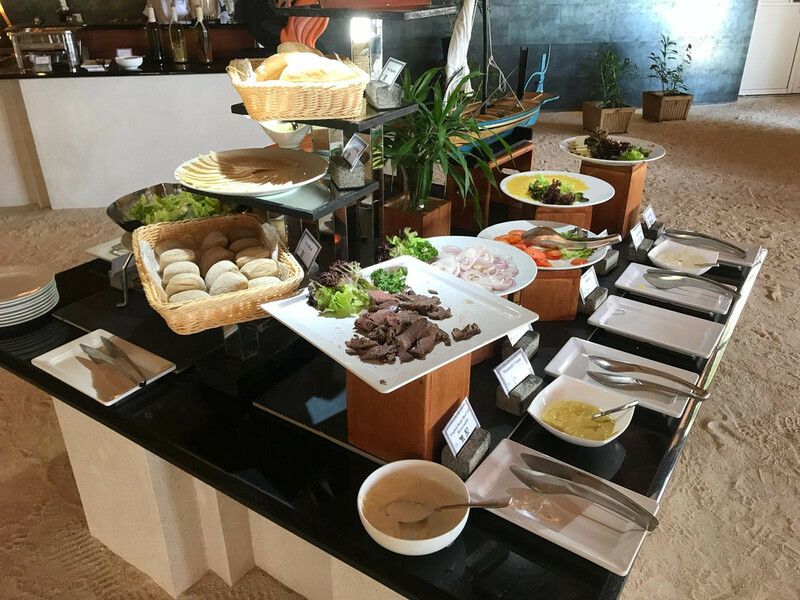 Guests staying in the jacuzzi water villas dine at Ahima Buffet restaurant, and all other guests dine at Funama Buffet restaurant. I can only talk of Ahima as that is where I ate, but the food was exquisite throughout my stay, and the staff bent over backwards consistenly to ensure everything was to my taste. Each day there is a theme, so for example one night was an Italian theme and lots of pizza and pasta dishes were available. The local curry dishes are always available. For those wanting sushi or teppanyaki, you can pay to dine over the water at the Asian Wok restaurant. See the menu here. This is where Vilamendhoo will be very tough to beat, not just in the Maldives, but anywhere in the world. The house reef (coral reef that surrounds the island) is alive and kicking, and thriving with allsorts of wildlife. 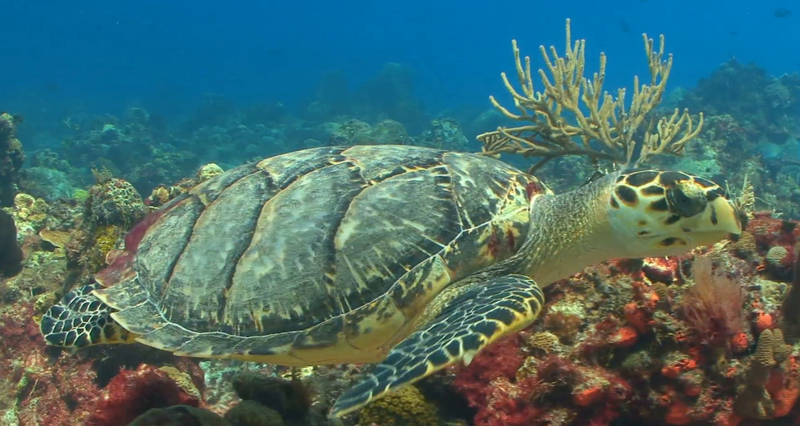 Turtles, rays, small sharks and even eels can all be seen regularly along this fantastic reef. There are 10 exit and entry points equally dotted along the reef to ensure humans don’t damage the coral when going from lagoon to open water. These are signposted and very easy to use. Please watch the video at the bottom of this page for more highlights. The excursions on Vilamendhoo include the usual snorkelling routes, but I see these as surplus to requirements due to their amazing coral reef. The whale shark excursions prove to be the most popular as these large docile creatures are so rarely seen in the wild. 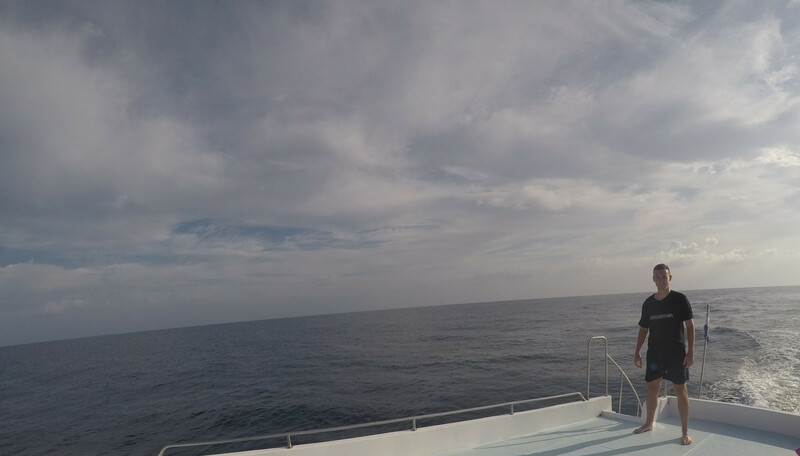 The boat that takes you on the whale shark excursions has a fantastic roof for sunbathing and marine life-spotting. Various fishing charters are also available. Geckos, small lizards and fruit bats are common occurrences at Vilamendhoo, as you might expect from a Maldivian island. The standout animals in my opinion have to be the small birds that patter around the island, almost never using their wings, as seen above. Also, Vilamendhoo’s shores are littered with herons. They tend to stick to the beaches or the poolside but are sometimes found on the deck leading to the water villas. As you may imagine they are no bother, they are just looking for fish to feed on. I didn’t encounter any nasty critters and had very few bites during my stay. Maybe the geckos eat them all! Prices are charged per room and start from $614 USD per night for the Jacuzzi Water Villas based on 2 people sharing. The beach villas start from $357 per night and the garden rooms can be swiped up for as little as $329 per night! You will struggle to find negative Vilamendoo reviews, and quite rightly. 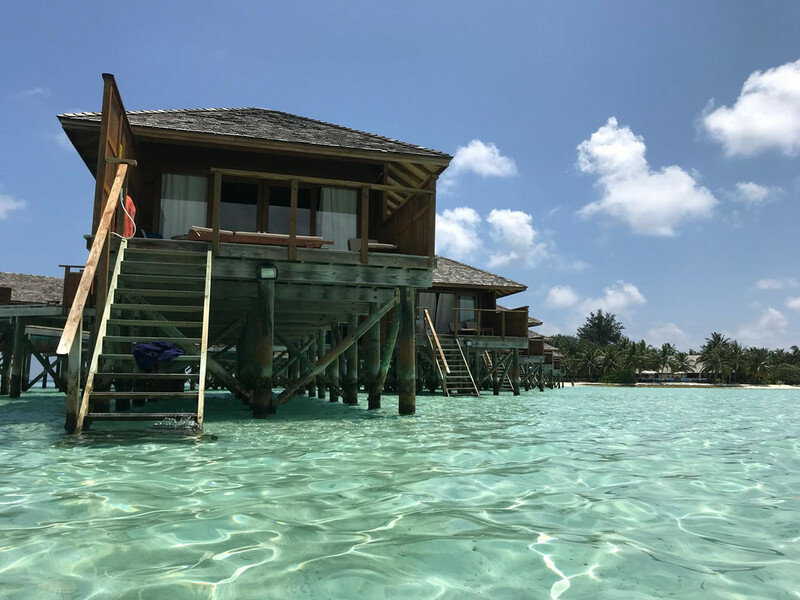 This gem of the Maldives, nestled at the foot of the South Ari Atoll, delivers unparalleled luxury and the quint-essential Maldivian dream getaway. Book your trip today here. 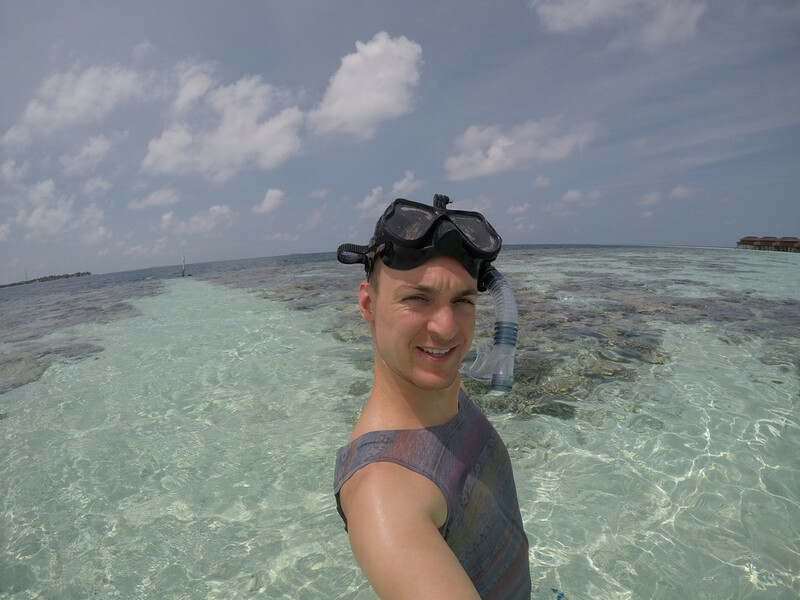 We’ve been putting the Maldives off for a while for various reasons, but that video at the end has made my mind up. I’m taking the wife to Vilamendhoo. Thank you Alan & your cameraperson. We’re glad to help John. Enjoy your trip! I have been dreaming about staying in an overwater bungalow in the Maldives! Vilamendhoo resort sounds amazing! That’s so cool that you can see into the ocean when you are getting a massage, that would help me relax even more. 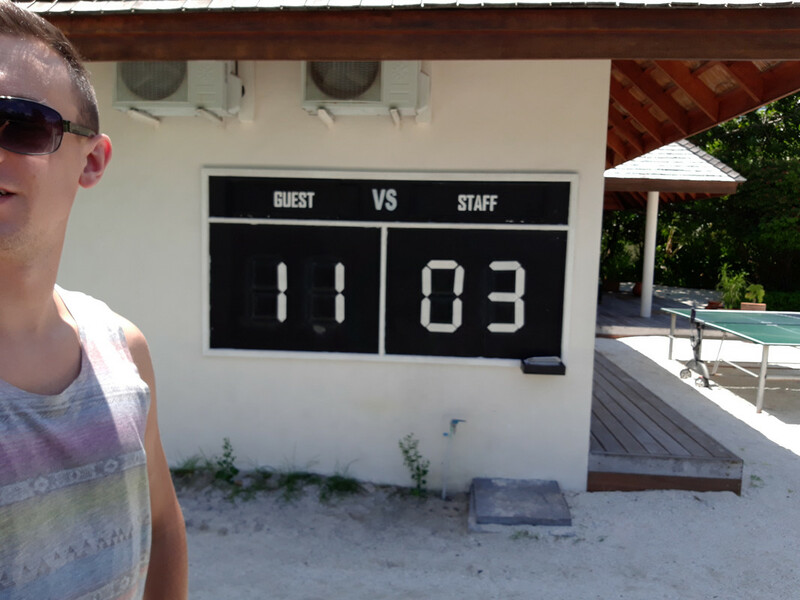 I have never heard of sports being highlighted at a Maldives resort. It’s cool they do a staff vs guests football game every week. It’s like nothing else Elizabeth. Vilamendhoo has it all! Staying in an over water villa in the Maldives is definitely on my bucket list. I know a few resorts in the Maldives have over water villas so I think I would have a hard time deciding which one to stay at. Vilamendhoo Resort and Spa looks like someplace I would love. It’s absolutely incredible Patti – don’t think twice! Wow! This is actually heaven! I can only imagine why it would cost over $600 per night! It’s the same price as the ryokan we stayed in Japan! I wonder how much it would cost to have a wedding there! But I’m sure it is worth it! Yes, the Maldives is the ultimate in luxury! Oh my goodness! I would love to stay there… that water is so inviting. You’re so blessed!